As Maryland’s first-in-the-nation energy storage income tax credit marks its second year, GTM checks in on the program’s results thus far. Given the program’s constraints, program officials said they have been pleased with the results so far. Can an income tax credit boost the market for behind-the-meter energy storage systems? Yes, but in Maryland's experience that measure alone is not enough to unlock the market’s full potential. In 2017, Maryland became the first state to pass legislation establishing an income tax credit for energy storage systems. Last month, the Maryland Energy Administration (MEA) announced it was accepting applications for the state’s energy storage income tax credit for the 2019 tax year. The deadline for residential and commercial customers to submit applications is January 15, 2020. This year, up to $750,000 is available ($300,000 for residential customers, $450,000 for commercial customers) on a first-come, first-served basis. Tax credits are capped at 30 percent of the total installed system cost, or up to $5,000 for residential systems and up to $75,000 for commercial systems. Maryland’s energy storage income tax credit is funded at $750,000 annually through the 2022 tax year. Given the program’s constraints (more on that below), program officials said they have been pleased with the results so far. “We are encouraged with the performance of the program in year one, knowing that building on current energy storage technology is key to the State’s renewable energy future,” Mary Beth Tung, MEA director, said in a statement. In 2018, in the program’s first year, 61 residential customers and one commercial customer in Maryland claimed the energy storage income tax credit. GTM asked MEA officials why just one commercial customer took advantage of the tax credit last year. MEA said “many external factors” could be at play, but one it highlighted was energy storage manufacturers not being able to keep up with demand. They cited press accounts — confirmed by GTM's reporting — of months-long customer wait times nationwide for delivery of energy storage systems. And while $750,000 is made available under Maryland’s energy storage income tax credit program each year, in 2018, just $237,112 was disbursed. Program funding not spent in one year cannot be rolled over to future tax years, thus Marylanders missed out on more than $500,000 in tax credits last year. Maryland’s energy storage tax credit did nudge the market in its first year. “The tax credit did lead to the Maryland residential market increasing by more than 10x year-over-year, but we’re still only talking about a handful of systems,” noted Brett Simon, senior analyst, energy storage, Wood Mackenzie Power & Renewables, in an email. Simon said Maryland officials could further grow the market with targeted policy support. Storage suppliers also make the case that if Maryland policymakers were to expand eligibility for the tax credit to permit third-party ownership of systems, the market could see significant gains. "It’s great to see Maryland taking action and promoting policy to bring more energy storage to the state,” Nicole Sitaraman, senior manager of public policy at Sunrun, wrote in an email. Sunrun recently installed its 5,000th solar-powered Brightbox energy storage system. The company sells the Brightbox in six U.S. states and Puerto Rico, but does not yet offer a solar-plus-storage option in Maryland. MEA officials confirmed private-sector interest in third-party ownership of storage in the state. 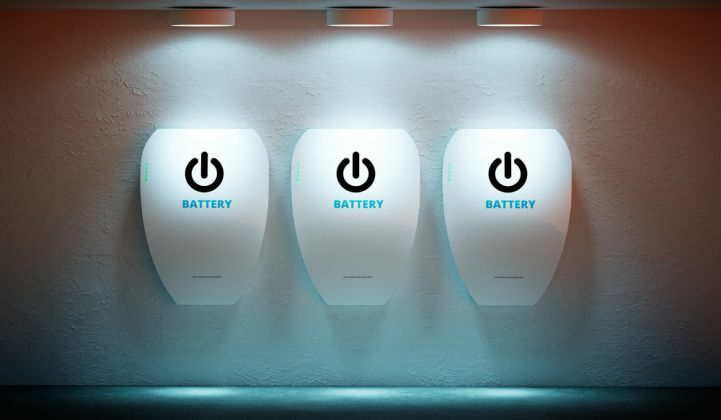 Legislation pending in the Maryland Legislature, HB 650, would require the state’s investor-owned utilities to create energy storage pilot programs.